Edit user settings including default data slice and interface language. Here you see that a user may be assigned to one data slice to browse its reports by default after login. 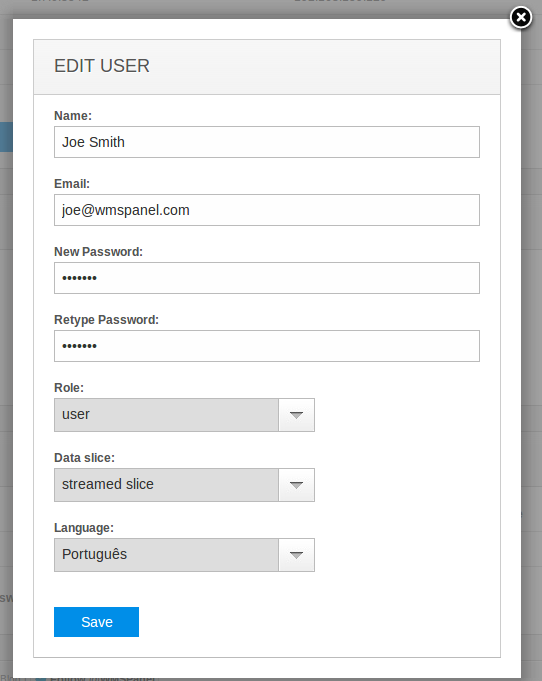 You can also set up default UI language so the person won't have to switch when logging in the first time. 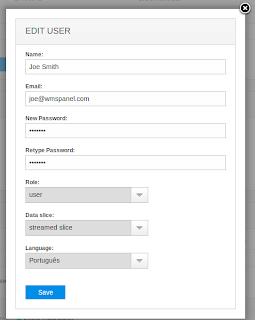 Just select a name and click on Assign. After that you can take a look at users list and see that "Data slices" column for this user indicates "2", meaning this one can browse reports from 2 slices. User sees 2 slices which he is assigned to. So now you can create several slices for the same client of yours and let them switch among them to have full picture of their statistics via daily and high-precision reports. 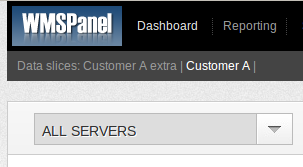 You can also allow your users to manage their Wowza servers. This is done via centralized users details and permissions management. If you haven't got familiar with our reporting capabilities yet, feel free to sign up and try our solution free of charge for 2 weeks.